Pocono Irish American Club’s mission to, “Promote and preserve Irish and American culture,” marches on with Sunday, March 18 marking another magnificent St. Patrick’s Day Parade date. Starting 1:30p.m a two mile route along Main Street will gather onlookers out for a look-see through the Borough of Stroudsburg. Eastward on ending in East Stroudsburg, a seemingly endless tapestry of emerald green will be seen with generations of spectators enjoying participants as they make their way. 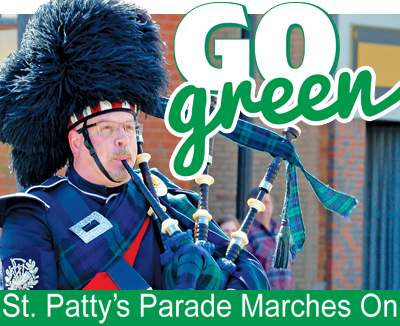 Go green and enjoy a sensational free Sunday scene surrounded by great food, fun and St. Patty’s Day fun with one of the Poconos most prominent parades.